Food Farm hires seasonally for three full-time seasonal farm crew positions. 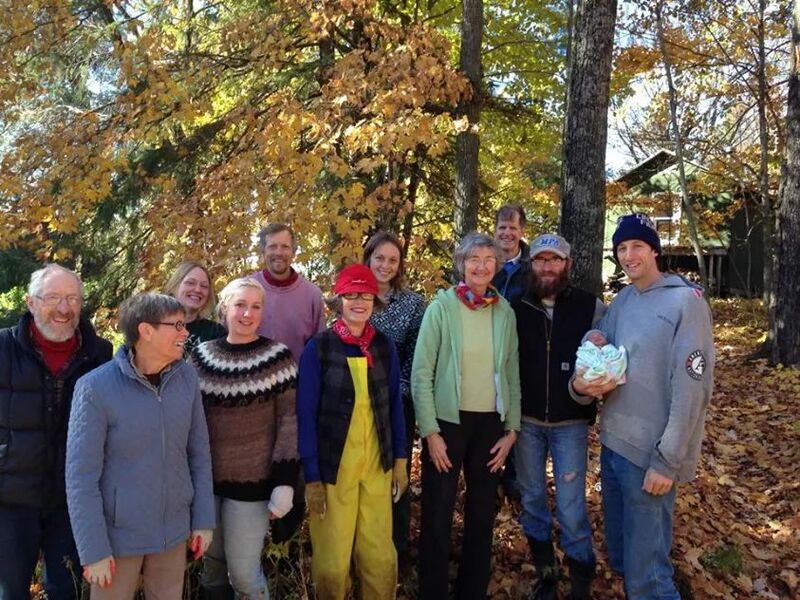 OUR FARM: The award-winning Food Farm is a 360 acre diversified farm specializing in certified organic vegetables in Wrenshall, MN, 30 minutes south of downtown Duluth. Approximately 2/3 of our 15 acres of vegetable production goes to our CSA operation, but the farm also has a strong wholesale component, selling vegetables to the Whole Foods Co-op, Duluth Grill, Chester Creek Café, and a number of other outlets. In addition to vegetables, we raise laying hens to provide eggs for the CSA and small grains for Vikre Distillery. The Food Farm has also been a pioneer in the winter storage market, delivering storage vegetables through April from an innovative modern root cellar. THE FARMERS: The farm is operated by Janaki, John, and Jane Fisher-Merritt, and Dave Hanlon, who were recognized in 2010 as Farmer of the Year at the Organic Farming Conference in LaCrosse. Jane and John started growing organic vegetables in 1973, became Certified Organic in 1990, and started the first Community Supported Agriculture (CSA) operation in the Duluth area in 1994. In 2010, Jane and John sold the farm to their son Janaki and his wife Annie Dugan, who also host the Free Range Film Festival in their barn each summer. The farm has continued to grow under their direction, and with the addition of new land and expanded winter storage space the farm is set to continue doing its part to meet the growing demand for healthy local vegetables. Janaki and Annie are raising a third generation to the farm with their young sons, Truman and Ellis. EMPLOYMENT DETAILS: Our employment opportunities are especially beneficial for, but not limited to, someone exploring or pursuing vegetable farming as a career. Our years of experience, variety of agricultural activities, volume of production and diversity of products makes Food Farm employment a unique learning experience. Time Frame: Approximately May 1 through the beginning of November. The duration is somewhat flexible on either end of the season, and post-season employment opportunities may exist depending on the fall harvest. Work Hours: Generally Monday-Friday, 8:30am-6:00pm. Workload varies during the season from 40-48 hours per week, and may include a few weekend hours once or twice per year. The Food Farm is looking for individuals who are self-motivated, have great attention to detail and are eager to work and learn. Previous farm experience is a great benefit but not required. Crew members should be in good physical condition with the ability to lift 50 pounds. Farm work is physically demanding and we work in all weather conditions. Employees should expect to work efficiently and quickly and maintain our standards of high quality produce and customer service. Efficiency in production makes the farm financially viable; we work at a fast pace and expect our employees to do the same. A smoothly operating farm helps to create a positive environment for the entire crew. Employees should be able to work independently and in a group and have an interest in sustainable agriculture and good food! We try to foster an enjoyable work environment for the benefit of our family, our crew and our membership. Abundant produce from the farm. Networking with other area sustainable and organic farms. We are lucky to be in a region with several other organic and sustainable farms, which raise vegetables, pork, and grass-fed beef. We connect our employees to other farms as desired to broaden their farm experience. Periodic educational gatherings in conjunction with a neighboring organic vegetable farm including topics that employees typically don’t have much involvement with in day-to-day farm work, such as financials and budgeting, recordkeeping, organic certification, and crop rotation planning. Development of a learning plan to help direct particular educational goals of each employee. Employee check-ins at the beginning, middle and end of each season to ensure employees are gaining the skills and background they need to be successful in their future pursuits. Ability to take on more responsibility of certain aspects of the farm as the season progresses based on interest and abilities.